As a dietitian, I know the importance of taking supplements and vitamins when necessary. I do not always take a vitamin but find that at certain times, it can be important. I was recently introduced to the Well at Walgreens brand which is their brand of vitamins, supplements and probiotics. Currently, I take a prenatal vitamin, omega-3 supplements and sometimes take a probiotic. I take a probiotic when I am sick or when I am on an antibiotic to help restore the healthy bacteria in my body. My husband takes a generic multivitamin. In the winter, I feel that we do not always get the best nutrition (since the produce is not as fresh or as readily available) so I think that taking a vitamin can be important. Sometimes, we take vitamin D supplements too. My recent blood work showed that my vitamin D levels were normal which I was really excited about. 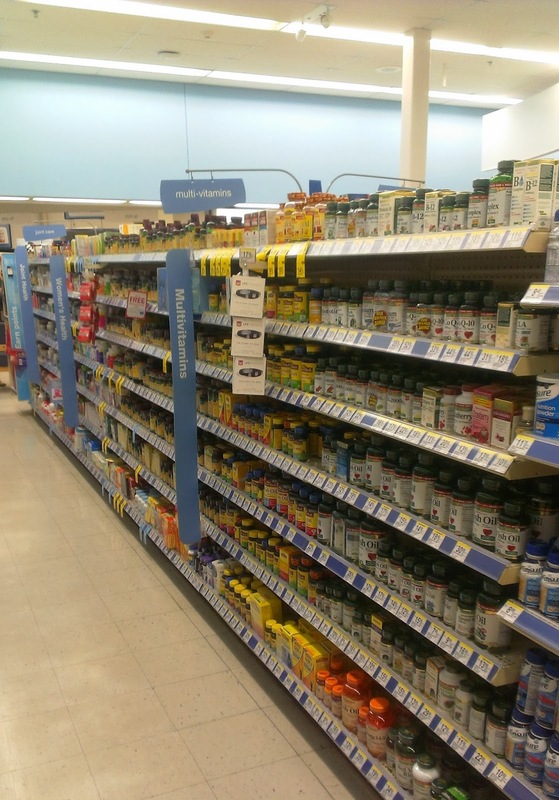 The Well at Walgreens brand helps people to live well but having many different products available for different healthcare issues and to help prevent issues. 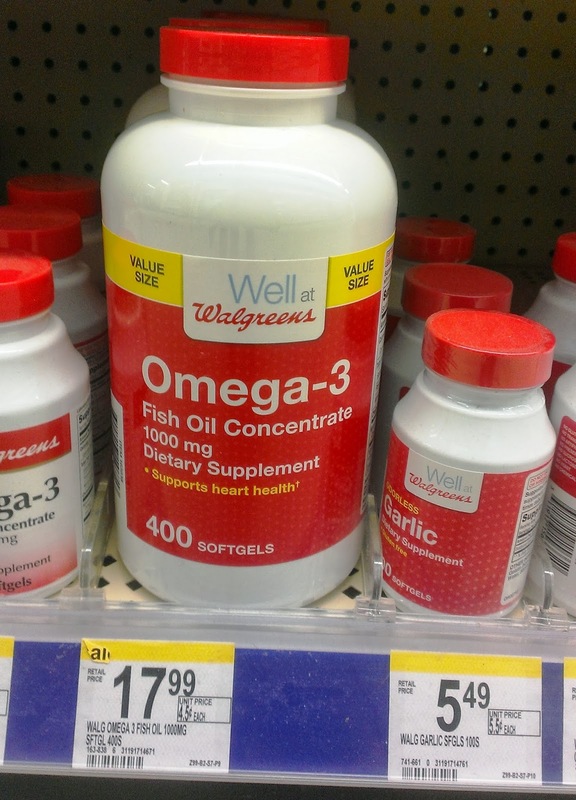 You all know that I love a good deal and during this month of March, the Well at Walgreens products are buy one get one 50% off which makes it a great time to stock up. 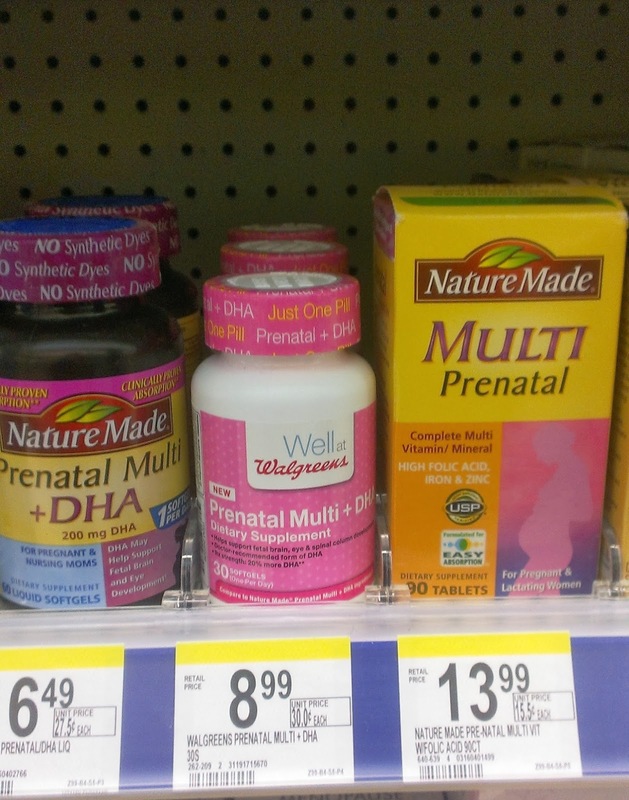 I recently picked up a bottle of the Well at Walgreens Prenatal Multi with DHA softgels. This bottle is affordable at only $8.99. It’s nice because you only have to take one pill. Previous to this, I was taking 4 prenatals and 4 omega-3 pills per day since the brand I was taking required you to take more for the same dose. To get my daily folic acid requirements in which are really important to pregnancy, I love to eat spinach and a variety of other fruits and vegetables. Also, I picked up a bottle of the Walgreens Multivitamin A-Z which my husband will take. I would also get the Well at Walgreens Super Probiotic which comes with 60 capsules and helps with digestion. My husband has bad allergies when we go up north so the Walgreens products could help with his allergy issues. Also, to get in my omega-3 fatty acids, I sometimes take pills for it or eat grilled salmon, flax and chia seeds. Walgreens has a Way to Well Commitment where 2/1/11-12/31/14, one cent from the purchase or each Walgreens Brand Health and Wellness product will be given to support preventative wellness services in local communities. They will give up to $3 million each year.